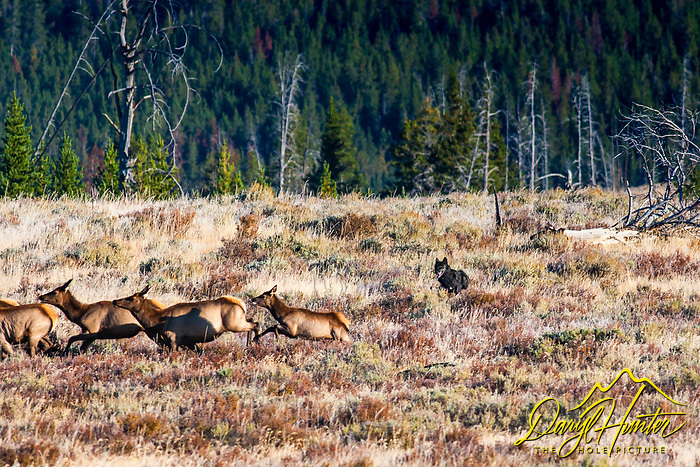 Everyone is interested in the wildlife of the Greater Yellowstone. Wildlife though, isn’t just a cool tourist attraction, it is often a political football. Wildlife affects the farmer and rancher on the periphery of Yellowstone differently than it does the visitor, so excited to see a wolf, they can hardly hold their camera still. Understanding ecological keystones is important because these hinge-pins of circumstance are harbingers of subsequent biological destiny of an ecosystem. Understanding fosters reason! A keystone species is a plant or animal that greatly effects the other plants and animals of the ecosystem, and sometimes the geography, disproportionately relative to its abundance or total biomass. 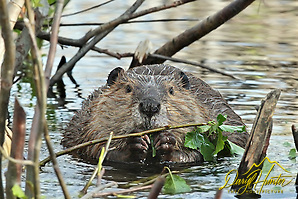 They play a crucial role in the way an ecosystem functions and are a key to ecosystem balance. The original meaning of “keystone” came from the wedge-shaped stone placed at the top of a masonry vault or arch; the final piece placed during construction that locks all the stones into position, allowing the arch to bear weight. The term “keystone” has evolved into a demonstrative metaphor into the lexicon of stainability of ecosystems without which the ecologic structure would erode and lead to possible collapse. The wolf is such a keystone as is the grizzly as well as the beaver. All these species have experienced wide variance of population as we humans interfered and now with our elementary, but growing understanding of ecosystems try to undue damage we have done. Other Greater Yellowstone keystones include Cutthroat Trout, Whitebark Pine. Uinta ground squirrels, and other rodents like mice and voles are keystones, because many raptors, fox, coyote etc are dependent on them. A classic keystone species is a predator that prevents a herbivorous critter from eliminating dominant plant species. Without predators, herbivorous prey would explode in numbers, wipe out the dominant plants, and dramatically alter the character of the ecosystem. A keystone species is often, but not always, a predator. For instance the lowly krill, a keystone species in the Antarctic ecosystem. Krill are only two inches in length, but it represents a giant-sized link in the global food chain. These small, shrimp-like crustaceans are essentially the fuel that runs the engine of the earth’s marine ecosystems; hence, a keystone. 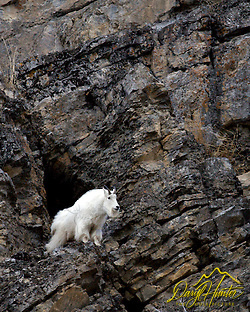 As much as I love seeing mountain goats in the Greater Yellowstone, I understand they aren’t an endemic species and will alter the balance of nature. Natural ecologic communities can be seen as a pyramid; the different layers are known as “trophic” (or feeding) levels, plants form the foundation, everything from algae to trees. This foundation of grasses, forbs, etc. feeds the vegetarian species ranging from voles to elk. Carnivores, raptors, grizzlies, wolves, etc, then prey on the herbivores. Predators have few, and sometimes, no predators they remain at the pyramid’s peak. Keystone species play a critical role in maintaining the structure of an ecological pyramid, affecting many other organisms in an ecosystem and helping to determine the types and numbers of various other species of the ecological community. The disappearance of a keystone species would start a domino effect, or more specifically a “trophic cascade.” A Trophic cascade is a destabilization of the ecosystem, and a compromised ecosystem can cause a series of secondary extinctions that are triggered by the primary extinction; i.e., the first domino. Without the keystone species, new plants or animals could also come into the habitat and push out the native species. Without keystone species, the ecosystem would be dramatically different or cease to exist. Keystone species, because of their disproportionately large influence on species diversity, community structure, and ecologic balance, have become a popular target for conservation efforts. The reasoning is sound; protect one key species, and in doing so stabilize an entire community. Posted on Friday, February 28th, 2014 at 6:40 pm. Filed under: Blog, Wildlife Tags: balance, beaver, ecology, ecosystem, grizzly bear, Keystone Species, nature, trophic cascade, wolf	RSS 2.0 feed.